Charming turn of the century two-story in West Washington Park boasts original architectural details such as hardwoods, stained glass, cove ceilings, French doors, and exposed brick. Thoughtful updates have brought this home to modern standards. Formal dining opens to the living room with cozy gas fireplace and a sun-drenched reading nook/study overlooks the front yard. The chef's kitchen features stainless appliances with a commercial grade range, ample Cherry cabinetry, and black & white tiled floor. Upstairs, there are two perfectly sized bedrooms served by a newly remodeled bath. Laundry is conveniently located here. The backyard paradise provides a peaceful place to relax and entertain and features a healthy Koi pond, covered patio, mature landscaping. A quaint shed holds the yard tools and toys. Off-street parking space is just off the alley. 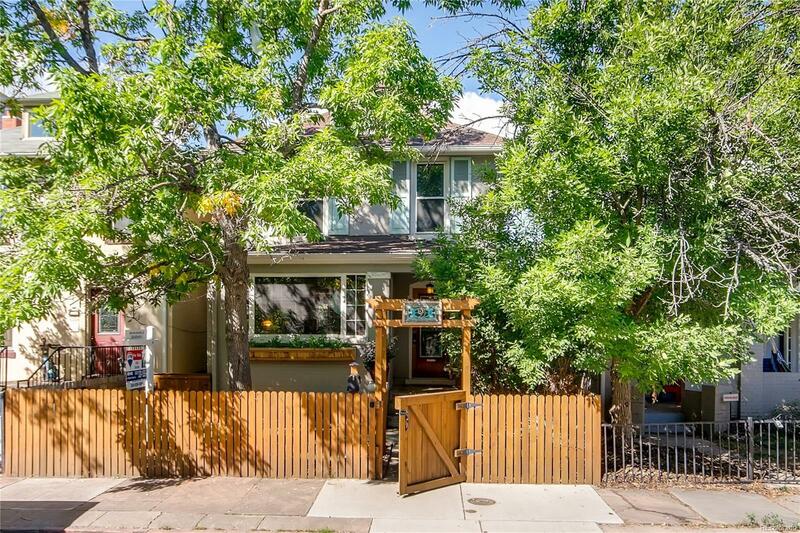 Prime, central location in close proximity to the park, restaurants, coffee, and shopping as well as the Cherry Creek Hike/Bike path.